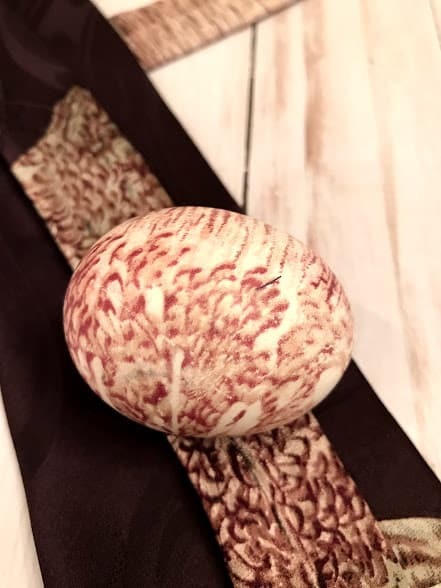 March 16, 2018 by Cheree' Leave a Comment This post may contain affiliate links, which means if you click on a link and purchase something, I may earn a small commission (at no additional cost to you.) See my disclosure policy HERE. 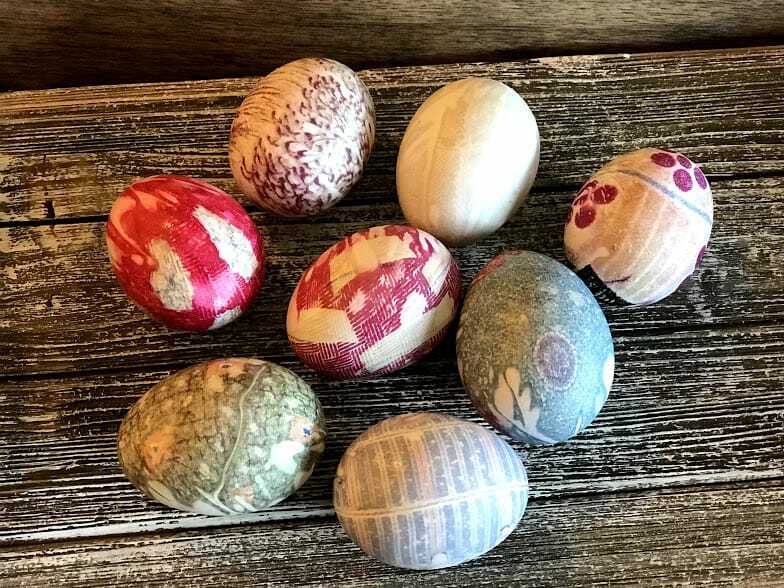 Looking for a new way to dye Easter Eggs this year? 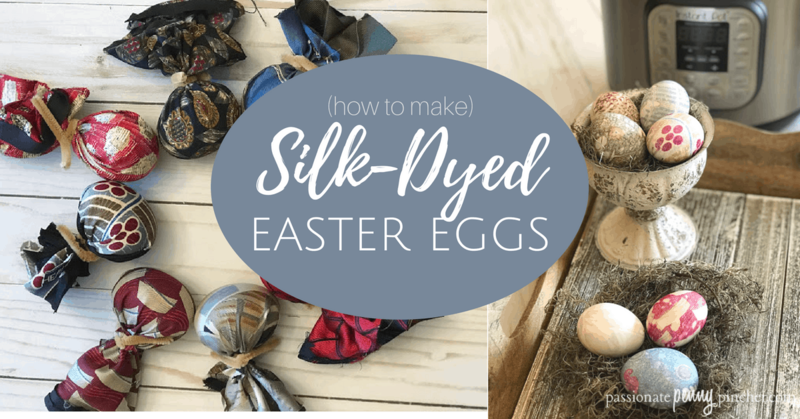 PPP Team Member Cheree spent the last week busily trying out all sorts of Instant Pot Easter Egg recipes – in this one she shows us how to use silk ties (or scarves) to dye Easter eggs in the Instant Pot.  I love these – they have a bit of Farmhouse charm! 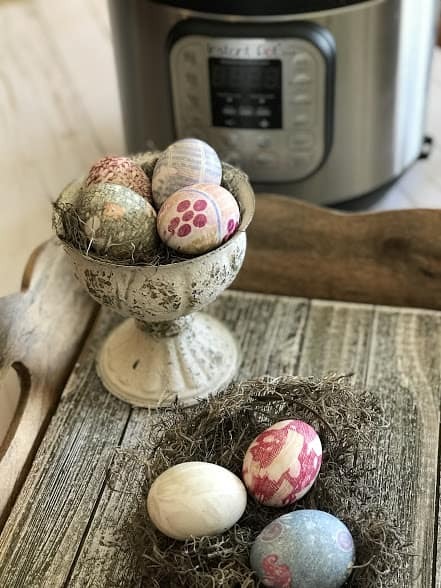 I've been testing out several methods of dying Easter eggs in the Instant Pot this week. So, when I saw this idea over on Pinterest, I was definitely intrigued and wanted to see how it would work in the Instant Pot. Oh My Stars, the results were AMAZING!!! Don't have an Instant Pot, no worries – this method works great on the stove top as well! Scroll down for stove top instructions! 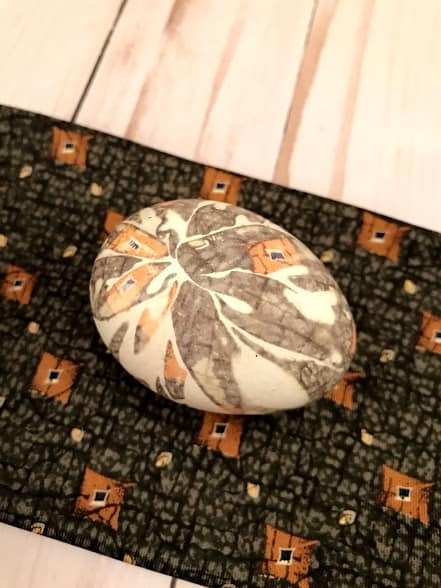 1 old white t-shirt, or white pillowcase, sheet, etc. Cut the ties and t-shirt into about 6″x 6″ squares. Next, do the same thing with the t-shirt squares. 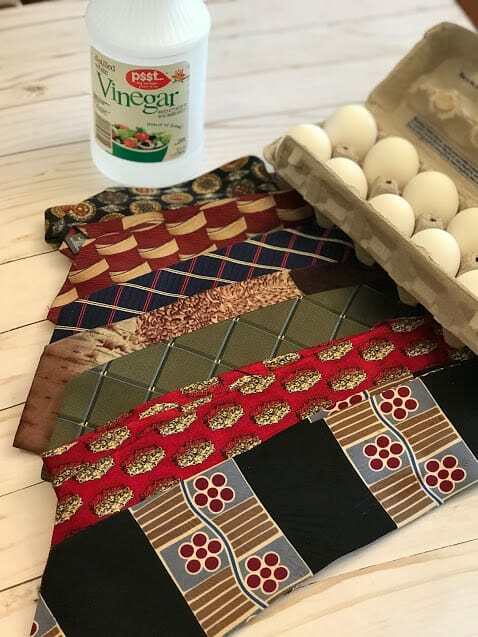 Place the trivet in the instant pot and carefully add your wrapped eggs. Cover with water until the eggs are completely covered and add 1/2 cup vinegar. Lock lid into place and use the manual high pressure for 5 minutes. Allow the instant pot to natural release for 5 minutes. Fill a large bowl with ice water while the instant pot is releasing. 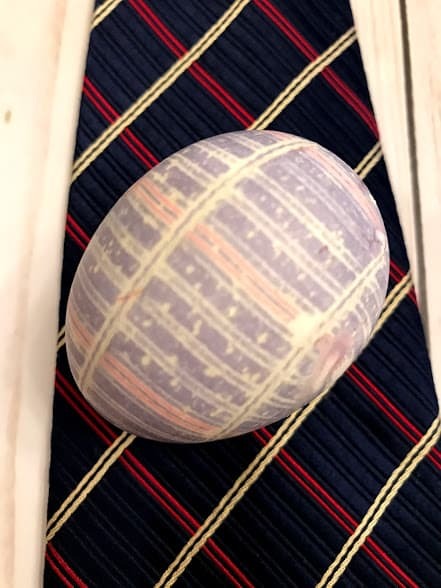 Do a quick release for the remaining pressure and immediately place eggs into the ice bath for an additional 5 minutes. 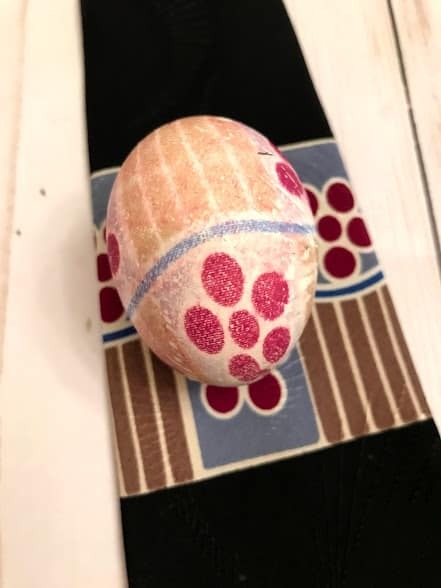 Remove the eggs from the ice bath and carefully remove the fabric. 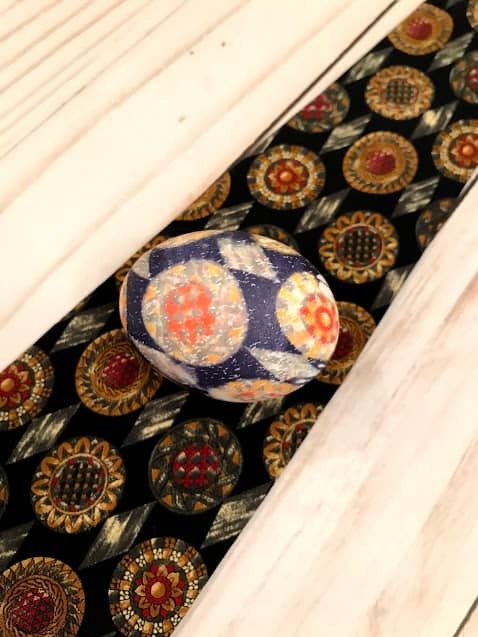 Enjoy and be surprised by the beautiful designs! 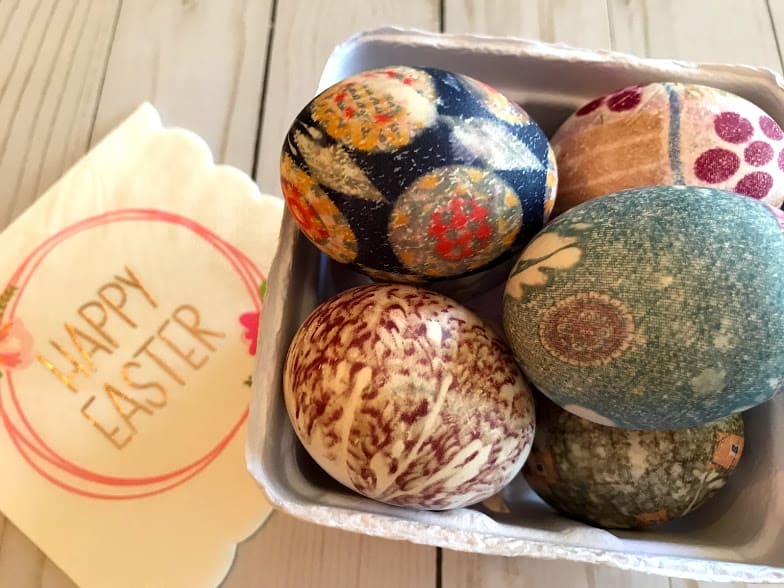 Follow wrapping directions above and place the wrapped eggs in a large stockpot. Fill with water 2 inches above the eggs. Add 1/4 cup vinegar. Bring to a boil, reduce heat and simmer 20 minutes. Carefully remove eggs with tongs and lay on paper towels. Let cool to room temperature and unwrap. Store in the refrigerator until you are ready to display your beauties! This was seriously so cool! 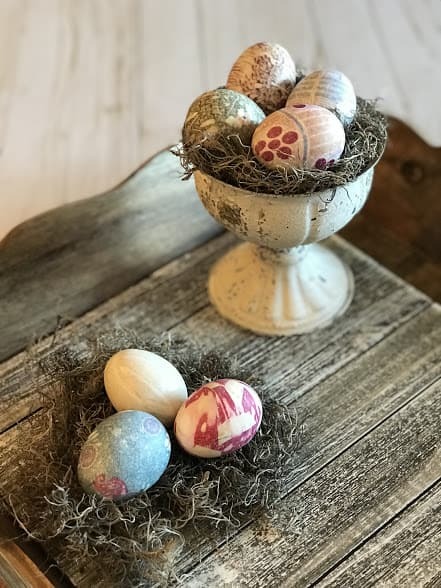 I read that you can apply some type of acrylic coating to the eggs so you can keep them from year to year. I skipped this, but would love to hear if any of you have done this and if it works. I have had mine out a few days and they are doing just fine! 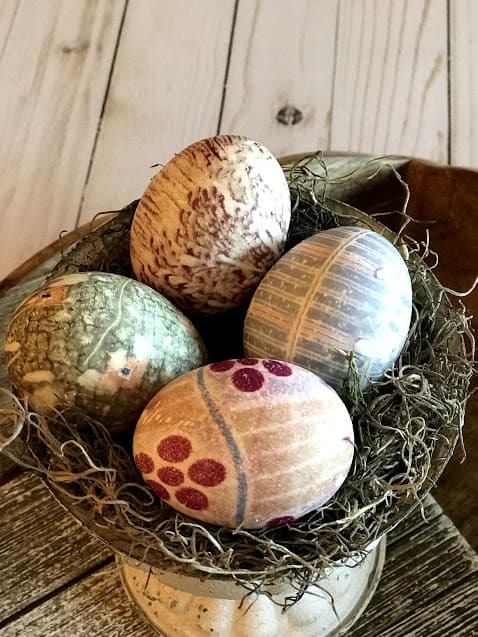 I'm really digging the farmhouse vibes that these eggs have. 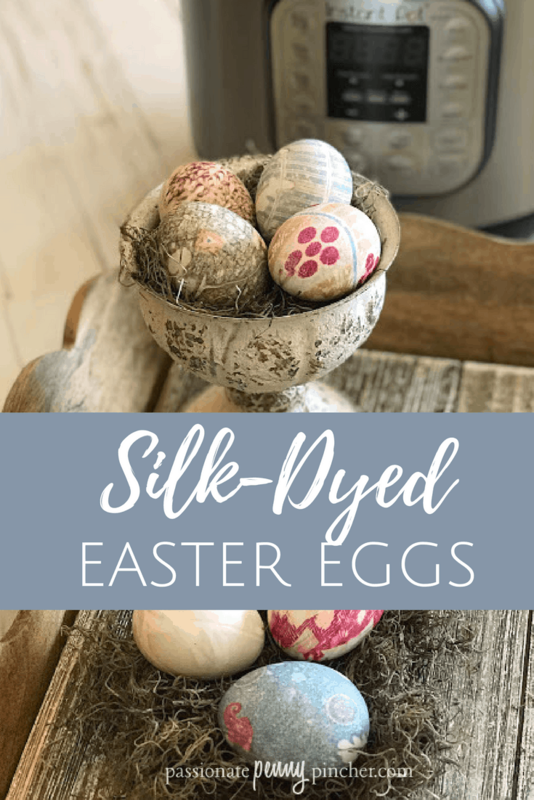 ***Also please note that the silk dying process involves chemicals so these eggs are not safe to consume.